Home Arts & Entertainment Classical Connections: Boys Don’t Cry? It used to be thought that a minor key produces a sad effect but I don’t think that explanation holds much water. The well-known song My Favourite Things is in a minor key, and it’s anything but sad. The Rachmaninov movement which got me so lachrymose as a teenager is in a major key. 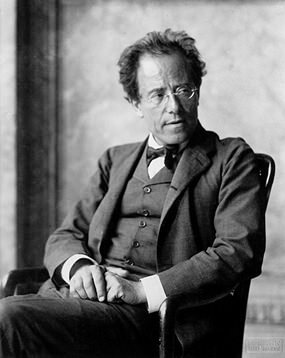 And so for that matter, is the last movement of Mahler’s massive Third Symphony which is almost guaranteed to bring a tear. But whether it’s a tear of melancholy, sadness, joy, elation or ecstasy, I shall leave it to you to decide. Barber was one of America’s most celebrated composers of the twentieth century. This piece was originally the slow movement of his String Quartet in B minor, written in Austria during 1935 and 1936. It would have probably remained obscure had not the conductor Arturo Toscanini urged Barber to arrange it for orchestra. It has since become hugely popular and been used in several feature films. When the BBC launched a competition to find the “saddest music in the world”, Barber’s Adagio came at the top of the list. Incidentally, the word “adagio” simply means “slowly” and this is an intense work which grows in power and volume from the start. Notice how the melody develops and how Barber uses silence for dramatic effect in the long pause after the climax at 05:58. For a moment, it seems like the end of piece. But it isn’t. Instead, Barber takes us back to that quiet place where we began our melancholy journey.